PGL has been delivering life enriching adventure experiences to young people since 1957 at various stunning locations across the UK, mainland Europe, and Australia. From canoeing down rivers to zip wiring from trees, and from solving puzzles to singing songs around the campfire, it’s our vision to have a lasting, positive impact on the development of young people by inspiring them to have fun, challenge themselves and achieve more. That vision isn’t just for the hundreds of thousands of guests who go on a PGL holiday each year – it’s also the aim we have for our staff. The PGL staff team is a diverse group of people. If you’re looking for a career in the outdoors, a gap year experience, seasonal work, a career break, or ‘just a job’ – we have opportunities for you! However we can assure you working for PGL is more than just a job. Our staff tell us they love the lifestyle of living at a PGL activity centre, they love the friendly and welcoming environment, and they love the challenge. Make no mistake – working with PGL is a challenge! It’s demanding, at times it’s hectic and tiring. However, it’s also rewarding, often exhilarating and always memorable. 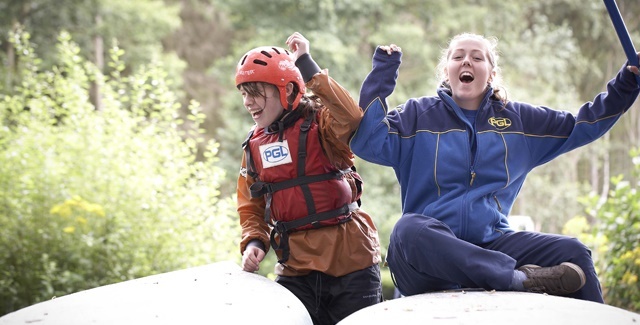 Regardless of where you want to go with your career, PGL has a range of fantastic roles to fit your aspirations. Our Instructors are the face of PGL, they are the heroes that our young guests remember from their holidays – but PGL is a world within a world. There is far more to delivering first class, exciting adventure experiences for our guests than ensuring they scale the climbing tower safely. Our Catering teams serve quality food to fuel our guests and staff for the day. Our Housekeeping and Maintenance teams ensure our activity centres create a positive, lasting impression. Our Retail teams ensure our centre shops and bars continue to be exciting hives of activity. And our Admin, HR and Language teams ensure our centres run like clockwork. Needless to say, you don’t have to be fond of navigating the high ropes to work with PGL and we recognise that this diversity within our staff team that has been a key factors in our success. PGL are the market-providers of activity holidays and study courses in the UK and we’ve reached that lofty position by investing in our accommodation, customer service, food and activity provision. We also see the career development and training opportunities available to our staff as an important driver of standards. This is why we are committed developing our employees with work-based training and we are proud to be considered the largest provider of work-based learning in the outdoor sector. 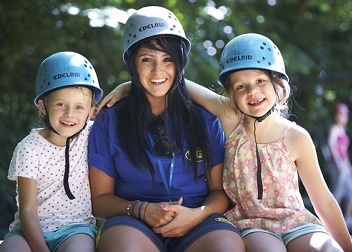 We work with a range of awarding bodies and our staff benefit with qualifications and experience which are a huge benefit to the guest experience at PGL. 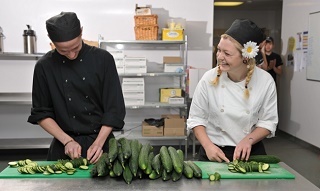 Hundreds of our staff team achieve CV-worthy experiences and qualifications every year. Apply for your perfect job with PGL today. We’re confident we have the working adventure you’ve been looking for.